The ensemble consists of students and graduates of the accordion class at the Karol Lipiński General Primary and Secondary Music School in Lublin. The ensemble’s artistic director is accordionist and teacher, Elwira Śliwkiewicz-Cisak, who plays the bass accordion parts in works scored for four and five instruments. The repertoire played by the ensemble at numerous concerts in Poland includes avant-garde compositions, written mainly by Polish composers, as well as works inspired by the folk lore of various nations. The musicians perform in accordion trio, quartet and quintet configurations, presenting virtuoso performances of classic instrumental works of chamber music. Elwira Śliwkiewicz‐Cisak has commenced the study of the accordion at nine years of age in Biała Podlaska – the city of her birth. She has continued her studies under the tutelage of Professor Włodzimierz Lech Puchnowski at the Fryderyk Chopin Academy of Music in Warsaw. In 1985 she obtained an honours diploma at the Faculty of Instrumental Music in teaching instruments. In 1987 she obtained her diploma from the Faculty of Instrumental Music in the accordion category. 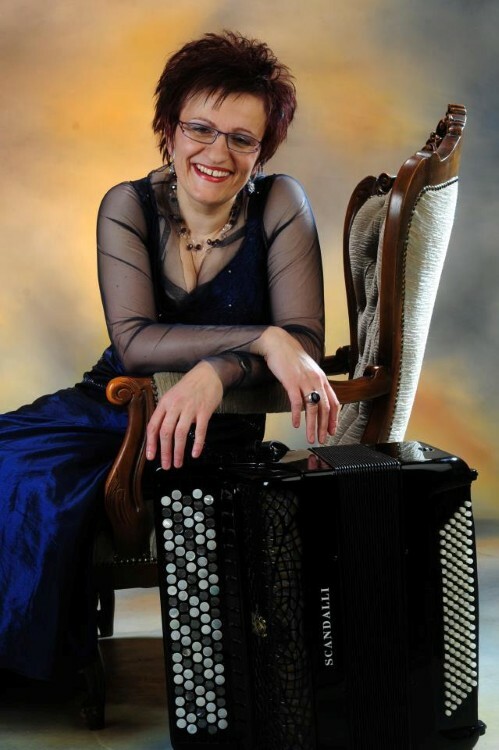 She has developed her accordion playing skills at International Music Interpretation Courses with such teachers as Professor Elsbeth Moser (Hannover), Professor Tibor Racz (Bratislava), Professor Friedrich Lips (Moscow), Professor Jerzy Jurek (Warsaw) and Professor Bogdan Dowlasz (Łódź). She is the 4th place winner at the National Accordion Competition in Białystok in the professional category. In 2000 she obtained 1st degree qualifications in the musical arts (instruments category) from the Fryderyk Chopin Academy of Music in Warsaw and in 2010 she obtained the degree of doctor habilitatus at the Ignacy Jan Paderewski Academy of Music in Poznań. Currently Elwira Śliwkiewicz‐Cisak is actively involved in teaching and live performance activities, performing in Poland as soloist and in chamber music ensembles (with flute, guitar, cello, accordion and choir), as well as with orchestras. She has co-founded the El Duende ensemble (contemporary music), Tanguillo Quintet (Argentine tango) and the Świętokrzyski Accordion Duet (contemporary music, musette). She has performed at many festivals, including the International Festival of Organ and Chamber Music in Ostrowiec Świętokrzyski, the Organ Music Festival in Polkowice, the Witold Lutosławski Forum of Contemporary Art in Lublin, the Lublin Science Festival, Summer with the Philharmonic in Nałęczów and Summer Chamber Music Concerts in Puławy. She played many first performances of contemporary music and has released four CDs: “15 lecie Zakładu Pedagogiki Instrumentalnej UMCS” (UMCS 2005), “Cztery Pory Roku” (Akademia Świętokrzyska 2006), “ISKRY” (MEGAVOX 040 2008) and “Kwintet Tanguillo” (UMCS 2010). Elwira Śliwkiewicz-Cisak has been teaching since 1981 and since 1996 she has been employed as assistant lecturer at the Marie Curie-Skłodowska University in Lublin in the Artistic Faculty in the Teaching of Instruments Department at the Music Institute. Her students win top spots in many international and domestic accordion competitions. She is a member of the Inter-school Accordion Faculty of the Fryderyk Chopin Music University in Warsaw and an expert on examination and qualifying boards in the Ministry of National Education. In 2001‐2008 she held the position of vice-principal at the Karol Lipiński General Primary and Secondary Music School in Lublin. 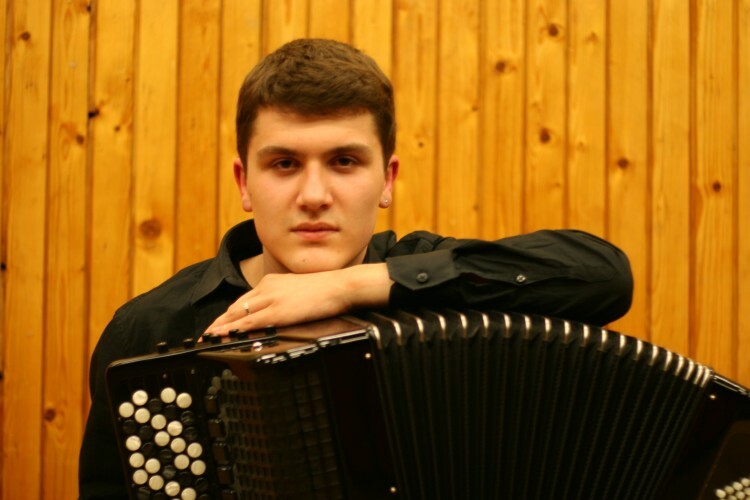 Piotr Krzaczkowski is this year’s graduate in the accordion class of dr Elwira Śliwkiewicz-Cisak at the Karol Lipiński General Primary and Secondary Music School in Lublin. He commenced his musical education at the age of seven at the State Primary School of Music in Tomaszów Lubelski in the class of Marcin Molenda. He has been achieving spectacular success at international and national accordion competitions for the past five years. The most important of these include: finalist at the Young Musician of the Year competition in 2012, 1st place at the International Accordion Meetings in Sanok (2012), 1st place at the International Festival of Accordion Music in Przemyśl (2011), 2nd place at the International Accordion Competition in Castelfidardo (Italy, 2011), 2nd place at the International Accordion Competition in in Vilnius (Lithuania, 2011), 1st place at the National Competition in Chełm (2011), 1st place at the National Accordion Festival in Solec Zdrój (2010) and 2nd place at the International Accordion Music Festival in Przemyśl (2010). Krzaczkowski participated in accordion master workshops in Miętne (2009, 2011), perfecting his playing skills under the tutelage of some of the finest instrumentalists. He has performed in Poland and abroad, including the Royal Castle in Warsaw and in the Palazzo Mordini in Castelfidardo. He received a scholarship from the National Children’s Benefit Fund and this year he has received a scholarship of the “Young Poland” Polish Culture Foundation, thanks to which he will be able to purchase a high quality concert instrument. Mateusz Rusiński is this year’s graduate in the accordion class of dr Elwira Śliwkiewicz-Cisak at the Karol Lipiński General Primary and Secondary Music School in Lublin. He has been achieving spectacular success at international and national accordion competitions for many years. His most important achievemnents include 2nd place in Category A for “International Prize and Award for accordion concert – performers, soloists and bands” in Castelfidardo, Italy (2005) and 1st place at the International Festival of Accordion Music in Przemyśl (2008). Mateusz Rusiński has performed in Italy, Germany and in Poland, in the concert hall of the Lublin Philharmonic, in the concert hall of the General Primary and Secondary Music School in Lublin, in the Performance Hall of the Voivodship Culture Centre in Sanok and Chełm and in the Column Hall and Blue Hall of the Voivodship Office in Lublin. He has participated many times in Accordion Workshops in Lublin. In 2005-2011 he participated in the International Music Interpretation Master Classes in Miętne, where he had the opportunity to work together with renowned Polish and European teachers. His most recent success is 2nd place at the National Accordion Competition in Chełm (2011) and 5th place in the finals of the International Accordion Competition in Klingenthal (2011). 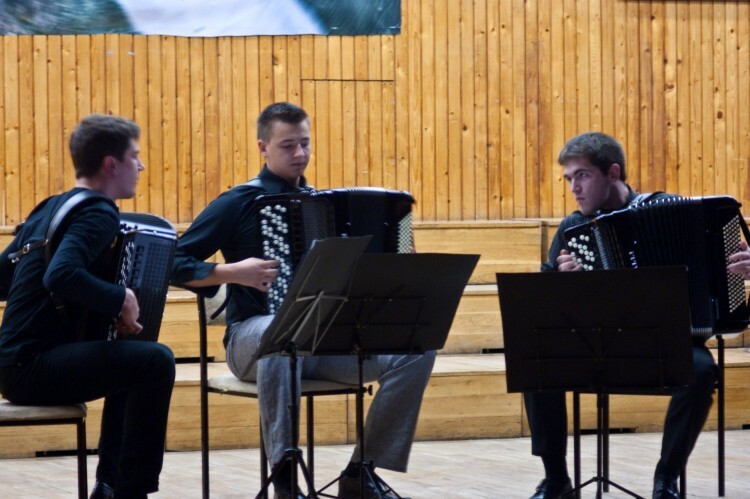 Emil Fatyga is this year’s graduate in the accordion class of dr Elwira Śliwkiewicz-Cisak at the Karol Lipiński General Primary and Secondary Music School in Lublin. He has been achieving spectacular success at international and national accordion competitions for the past three years. He has performed in Italy and in Poland, in the concert hall of the Lublin Philharmonic, in the concert hall of the General Primary and Secondary Music School in Lublin, in the Performance Hall of the Voivodship Culture Centre in Sanok and Chełm and in the Column Hall and Blue Hall of the Voivodship Office in Lublin. In 2009-2010 he participated in the International Music Interpretation Master Classes in Miętne and in Janowiec, where he had the opportunity to work together with renowned Polish and European teachers. He placed 3rd (2010) and 1st (2011) at the “Harmony of Health andMusic” National Accordion Music Competition in Solec Zdrój and took part in the International Accordion Competition in Castelfidardo (Italy, 2011). 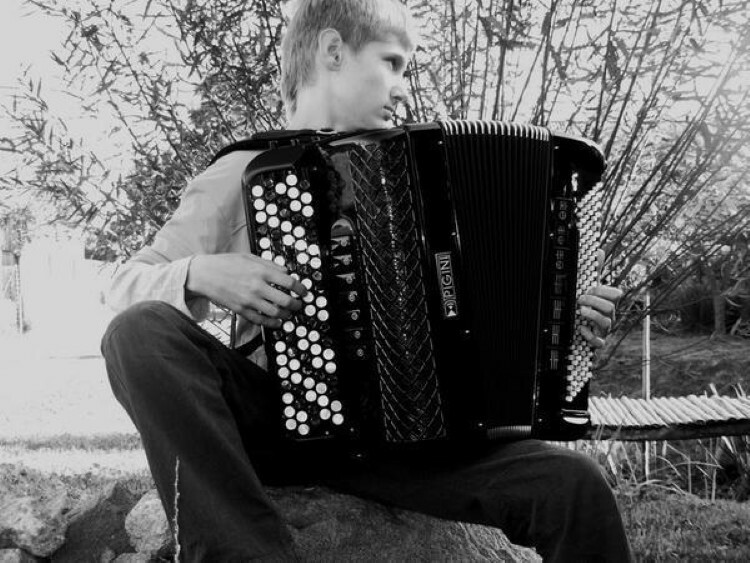 Karol Jabłoński is a Grade 4 student in the accordion class of dr Elwira Śliwkiewicz-Cisak at the Karol Lipiński General Primary and Secondary Music School in Lublin. He is a successful performer in a duet with accordion player Szymon Lipiński.